Gold & Silver members can now enjoy 160.000đ off any Agoda hotel bookings of 2,000.000đ or more. 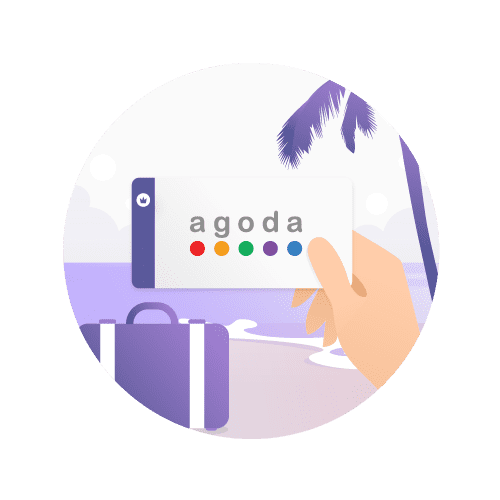 Platinum members can now enjoy 200.000đ off any Agoda hotel bookings of 2,000.000đ or more. 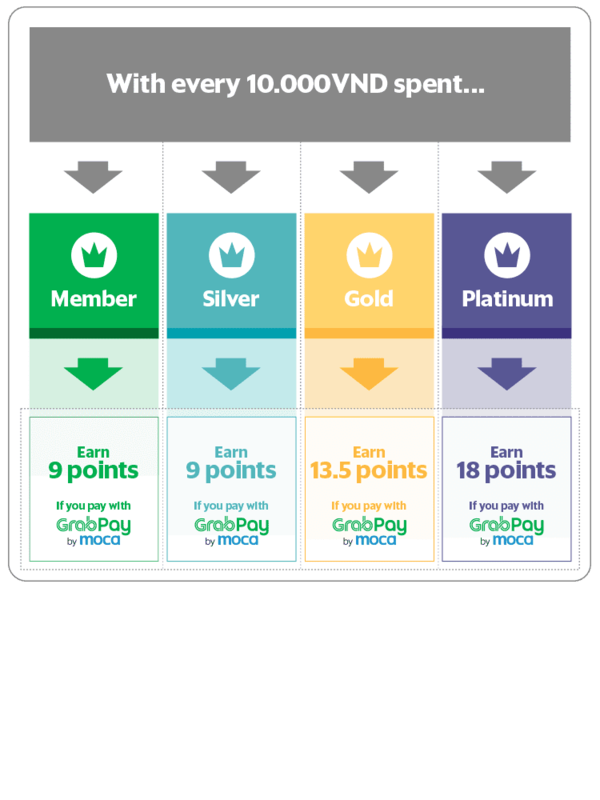 Simply refer to the table below to find out all the different ways you can start earning GrabRewards points. 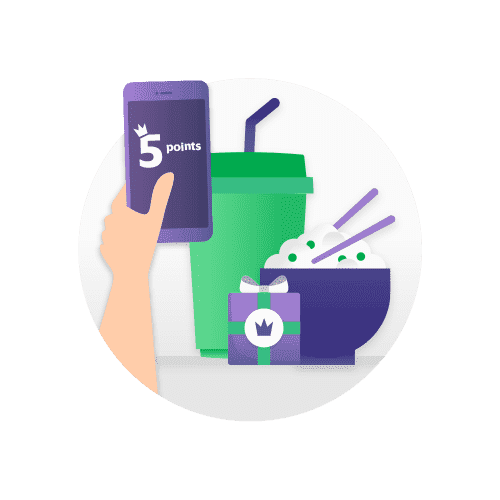 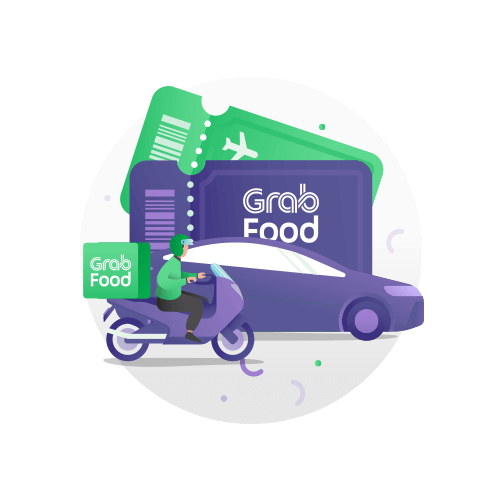 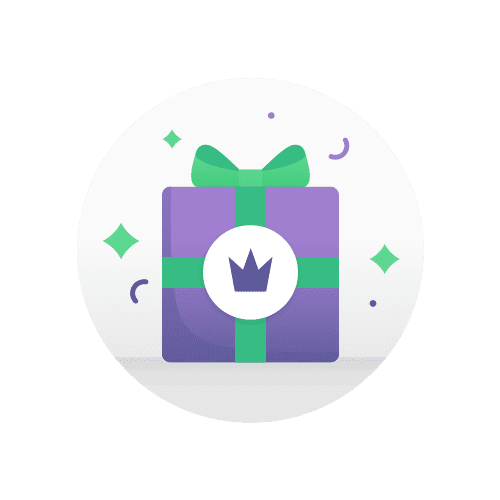 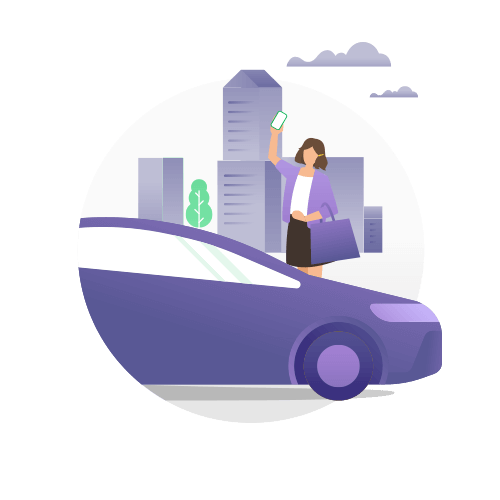 Don’t forget – you earn more points simply by using GrabPay! 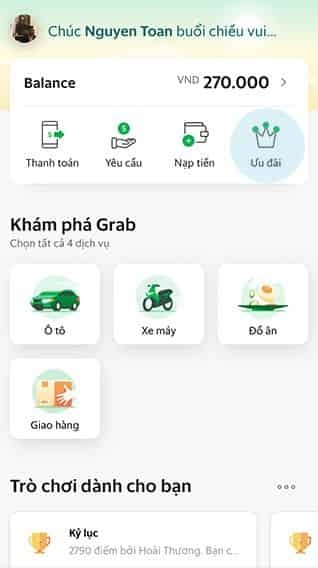 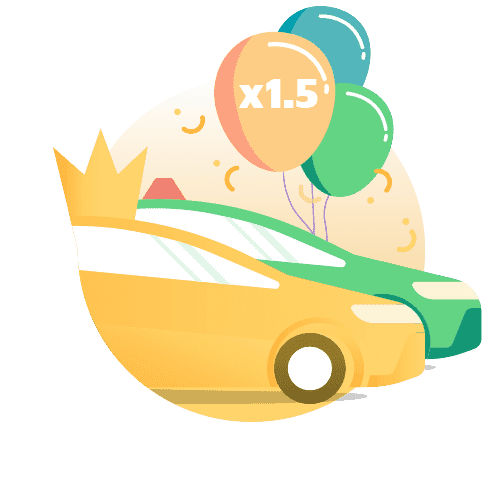 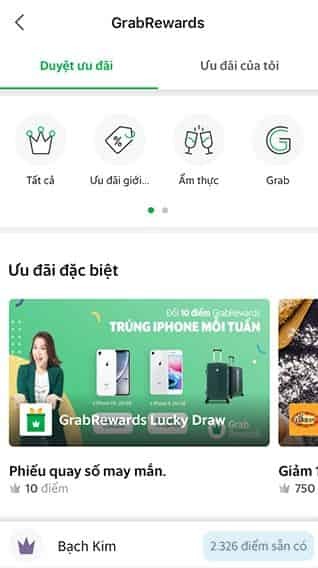 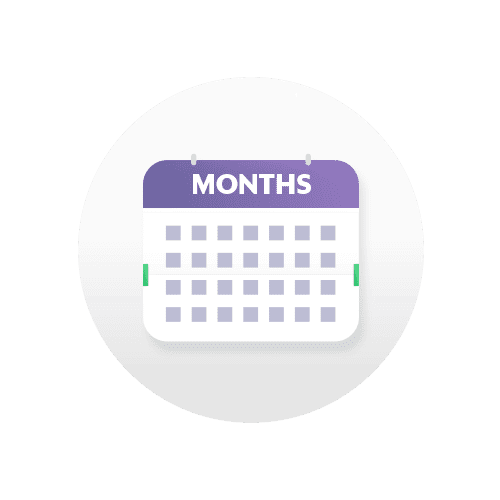 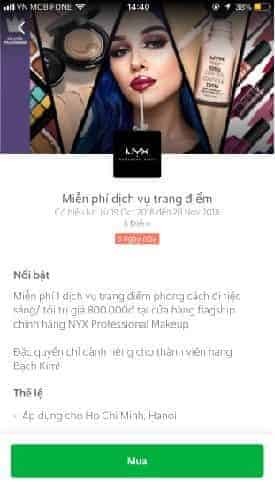 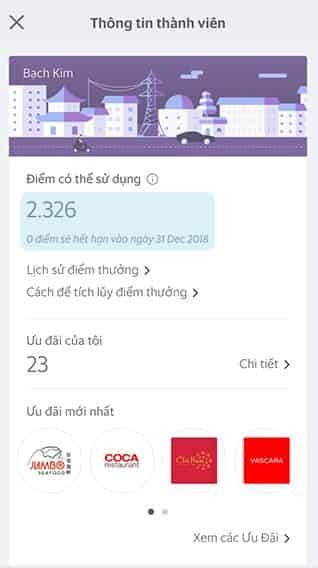 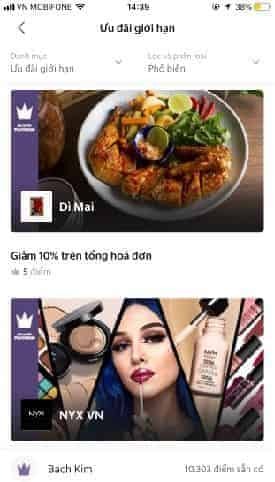 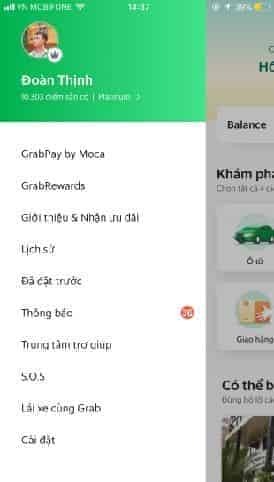 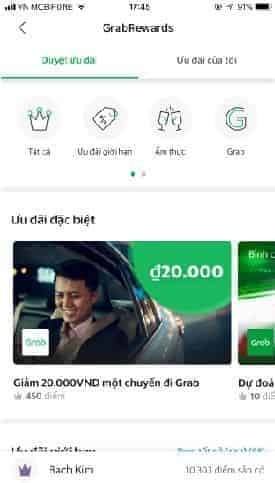 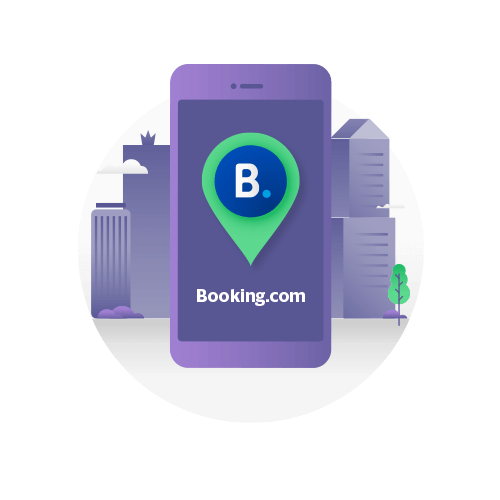 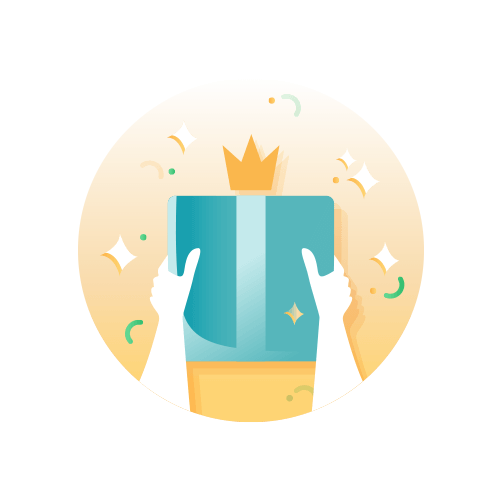 For example, if your fare was VND 100.000 and you had applied a “VND 10.000 off” promo code or Ride Reward, you would only earn GrabRewards points for VND 100.000 – VND 10.000 = VND 90.000. 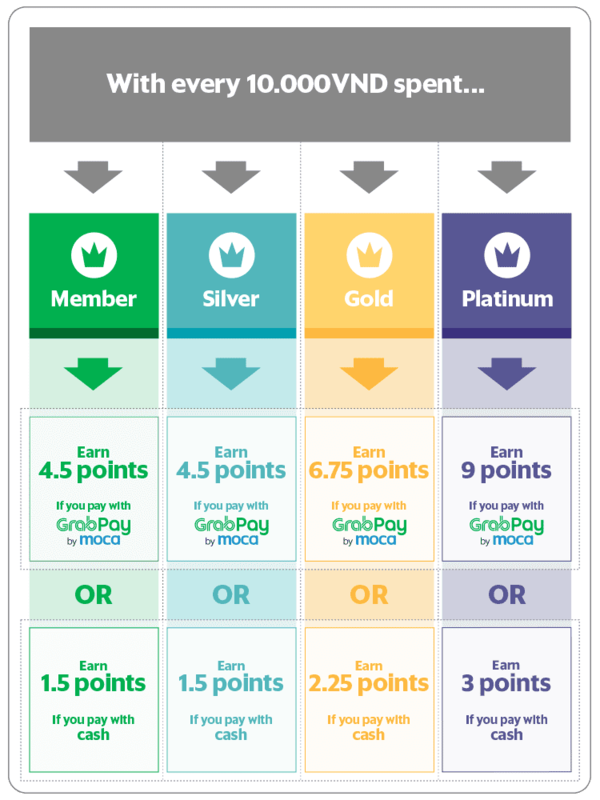 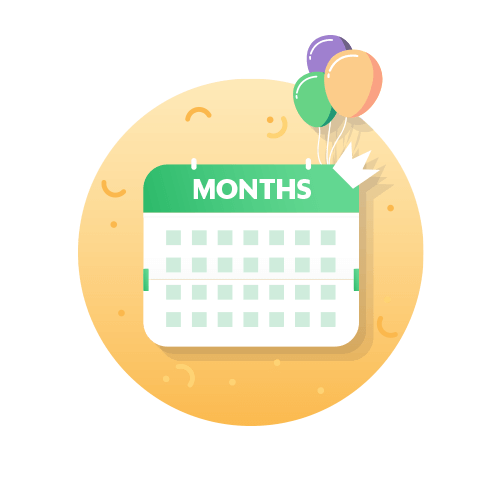 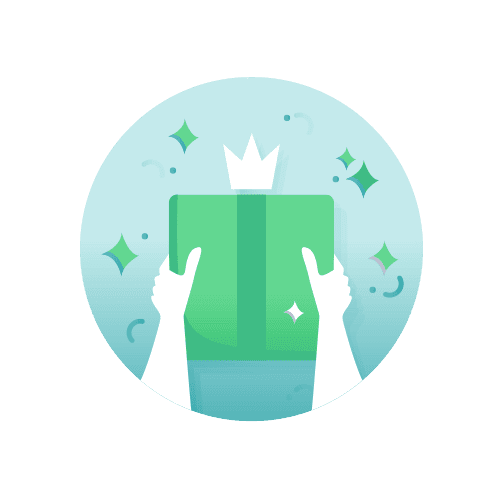 *Grab reserves the right to change the reward offers and points multiplier for payment via cash or GrabPay by Moca without prior notice.